Beijingers and travelers alike flock to the specialty restaurants, like Beijing Qianmen Quanjude Roast Duck Restaurant 32, Qianmen Street, for their very own Peking duck dinner. 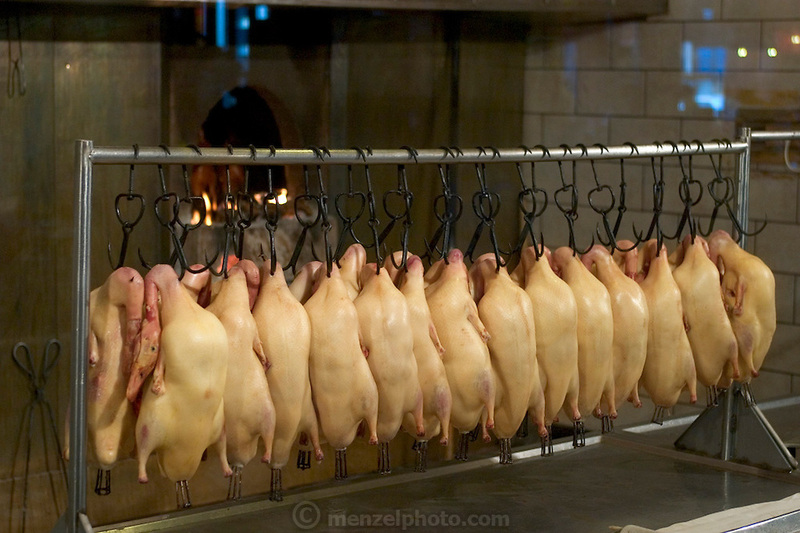 These succulent ducks will be served whole and cut tableside after the flurry of activity on the part of several cooks and assistants to prepare them in large roasting ovens. (Supporting image from the project Hungry Planet: What the World Eats) Although meat in the United States and Europe mainly comes from factory farms and is sold in shrink-wrapped packages, most animal products elsewhere (as these photographs demonstrate) come from small-scale producers and are sold by butchers.